Sole trader who is qualified and professional maintaning gardens on a regular basis. With a strong emphasis on design and quality, TurfCoUk artificial grass has quickly established itself as one of the UK’s leaders in artificial grass installation and landscape design. 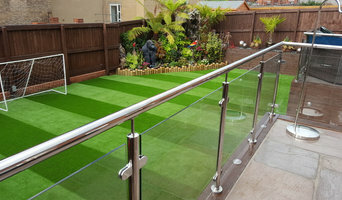 Excellent customer relations is an integral part of any service we provide; whether that be delivering a roll of artificial grass or designing and installing a full garden make over. We realise that when it comes to choosing artificial grass there is an overwhelming range of different companies offering various samples and brands. At TurfCoUk we have independently hand selected the best turf on the market. Our aim is not only to install a maintenance free lawn but to provide you with the most realistic looking grass available. The gardeners work fast and professionally and the costumers are happy. 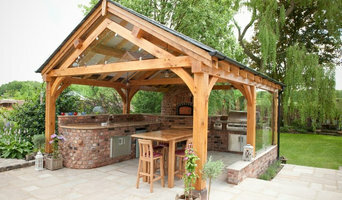 award winning professional design and build landscaping company based in leyland lancashire. welcome to Verbena landscapes We offer a wide range of services from a small garden to a large scale projects. I have been in the construction business for over thirty four years, with landscaping being my main area of work for twenty two years of them. We are a hands-on company, we do all our own work we take great care and passion in our work and love attention to detail from concept to completion. Only schedule one project at a time, over the years this has proved vital because you get 100% of our attention. Our company is a leader in the field of gardening and lawn services in Liverpool and Merseyside. Our team members are friendly, knowledgeable, experienced, and trained with the most powerful tools and machines. We offer non-stop customer support line by phone, email, or through our website. If you haven’t dabbled with the garden trowel before or you know your garden design vision is beyond your gardening skills, then it’s time to call in the Liverpool, Merseyside gardeners or landscapers. 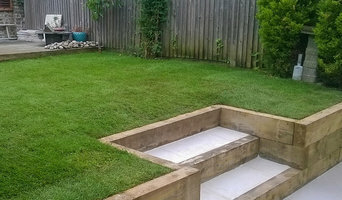 Gardeners and landscape contractors in Liverpool, Merseyside will be able to bring your outside space to life with flowers, plants, trees, shrubbery, lawns and all sorts of verdant, floral features. You can think beyond the flora too, to patios, decking, sculptures, pathways, outdoor sculptures and all sorts of other garden supplies. If you find the right Liverpool, Merseyside gardeners or landscapers then there’s no limit to what you can do with your garden. 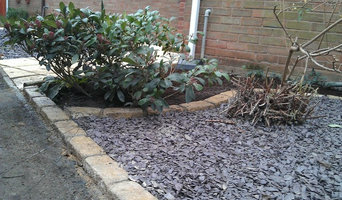 Why should I hire a Liverpool, Merseyside gardener or landscaper? Even if you do have a few green fingers yourself, gardeners in Liverpool, Merseyside will have the experience and training to carry out larger landscaping projects and will have the eye for what works best where and when in your garden. They may work with a landscape designer or architect who will put together the plans that they then execute, or they may do this work themselves. 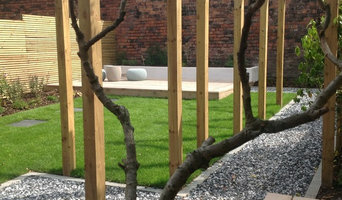 If you’re looking for a Liverpool, Merseyside landscape architect, or perhaps you want to select your own garden supplies yourself, then you can find the right professionals for this on Houzz, too. Here are some related professionals and vendors to complement the work of landscape contractors: Landscape Architects & Garden Designers, Garden & Landscape Supplies, Stone, Paving & Concrete, Tree Services. Once the plants have been chosen, planted or potted, and the lawn or patio laid, then your garden will be ready to enjoy, but never completely finished. Like all living things, your garden will grow and change with time and the seasons, so it will need a bit of TLC and garden maintenance from time to time. This is when you may want to hire Liverpool, Merseyside gardeners again, especially if you have a very large garden or landscaped area that needs constant upkeep. Hire Liverpool, Merseyside gardeners to water, weed and prune your plants, keep the lawn trim and green, and cut back any over growing trees. Some Liverpool gardeners may source their own garden supplies, while with others you may have to do this yourself. Find landscapers or gardeners on Houzz. Narrow your search in the Professionals section of the website to Liverpool, Merseyside gardeners and landscape contractors. You can also look through photos of Liverpool, Merseyside landscapes and gardens to find one you like, then contact the Liverpool, Merseyside gardener who worked on it.